A few weeks back, I started using a new herbal hair oil and henna shampoo by the brand OmVeda. Their entire range of Skin Care and Beauty Care Products are 100% pure Ayurveda. This duo ticks all the boxes for my thick frizzy colour treated hair thanks to the nourishing ingredients. Now my hair and scalp feel healthier due to the normalized oil production which has strengthened my hair from deep within. I have always been under the impression that hair oil would make my hair more oily but little did I know that the hair craves moisture too. Unless you apply too much oil to the roots of your hair you should be ok. Obviously amounts vary to each hair type but the rule of thumb is to always start with a small amount at the ends of your hair and work back up. For an intense treatment, massage the oil gently into the scalp, wrap hair in a warm towel to encourage absorption of herbs into the follicles then leave it in for 30 minutes. Shampoo out and allow to dry naturally. Alternatively you can leave it in overnight then shampoo out in the morning. Did you know it takes 28 days to make the Ayurvedic Herbal Oils? OmVeda prepares their herbal oils using traditional and time-honoured methods to ensure the healing properties remain intact. 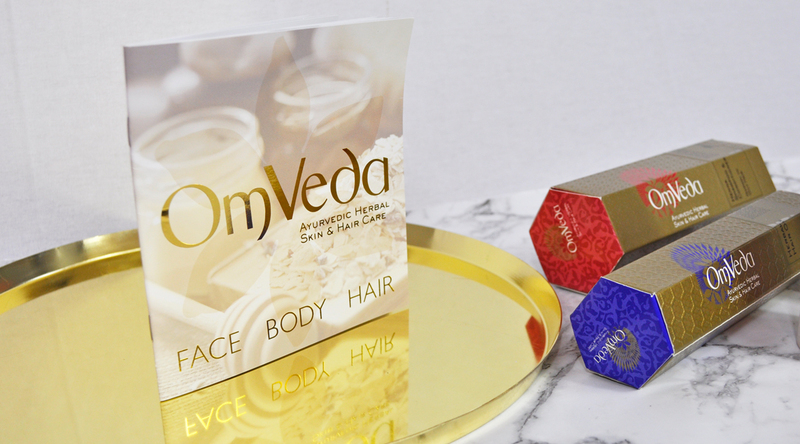 All OmVeda products are formulated from the bases of the Vedic Scriptures and traditional health and beauty recipes that have been used for over 5,000 years. The OmVeda Herbal Hair Oil is a pure Ayurvedic formula that helps repair damage, nourish hair follicles, reduce flakiness while soothing irritated and sensitive scalps and relieving itchiness. Formulated with many Ayurvedic herbs including Shikakai to help control dandruff, Fenugreek, a powerful anti-irritant rich in Phosphates and Iron to promote strong hair and reduce scalp dryness and flakiness. In addition, it features Amla, one of the highest natural sources of Vitamin C. Amla is also rich in Vitamin B complex and minerals such as Calcium, Phosphorus and Iron and helps to reduce loss, prevent premature greying, encourage growth and improve hair lustre. The Henna Shampoo is designed to promote healthy strong hair, it helps soothe the scalp while balancing excess oil. It does not strip the hair of its natural oils and keeps hair looking lustrous and manageable. Henna is a great all-round ingredient for the hair as it helps seal the cuticle, prevent breakage, boost strength and makes it more resilient. It also enhances body, adds shine and keeps the hair silky soft and smooth. In addition to the mainstay of Henna, which contains natural anti-bacterial and anti-fungal properties, the OmVeda Henna Shampoo also contains Shikakai (known as fruit for the hair) to aid in strengthening the hair, preventing dandruff, promoting growth and maintaining the optimum pH of the scalp. Shikakai is also a mild and low sudsing ingredient and, an exceptional detangler. It has a high Vitamin C content that helps to prevent free radical damage. OmVeda also calls on the rejuvenating benefits of Brahmi, to address damage and hair loss, provide nourishment to the hair follicle encourage growth and support the health of the hair. Let me know what your favourite hair care products are! You will love it, I’m sure! I always thought Henna was used for coloring, I love that it has many awesome benefits. Wow, oh my! Look at the packaging for the products! I love the look of them! These products would probably be too rich for my hair type, but I will pass it onto some of my friend’s that would benefit from these, thanks! Ooh, I’m quite intrigued by this brand. Hair oil is a must for me and this one sounds amazing. 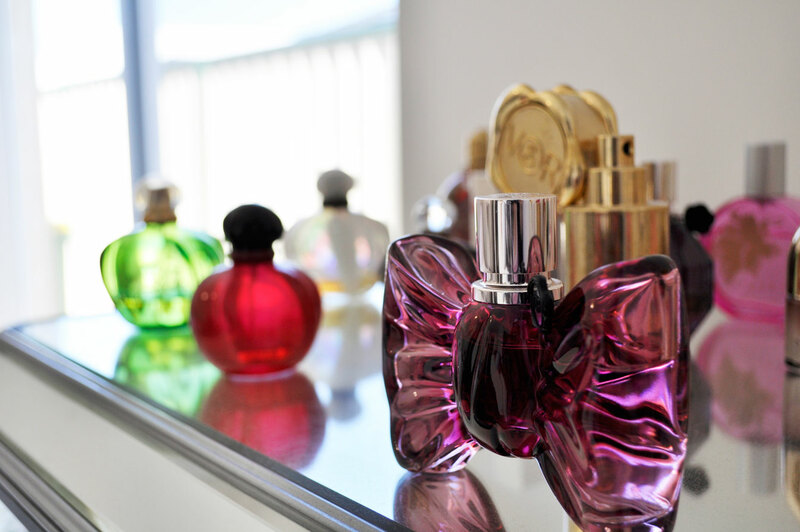 I love the fancy packaging!! It looks so luxe. Oh wow! The packaging on these are so gorgeous! I have never heard of them before, but I really want to try them now! Also started using an oil more regularly and it keeps my ends in particular in good condition! I love the packaging. I wish i could use oils in my hair but i have extensions unfortunately. Its the one hair product i miss using.